This is a 100+ year tradition you won't want to miss!!! What is First Years on the Field? 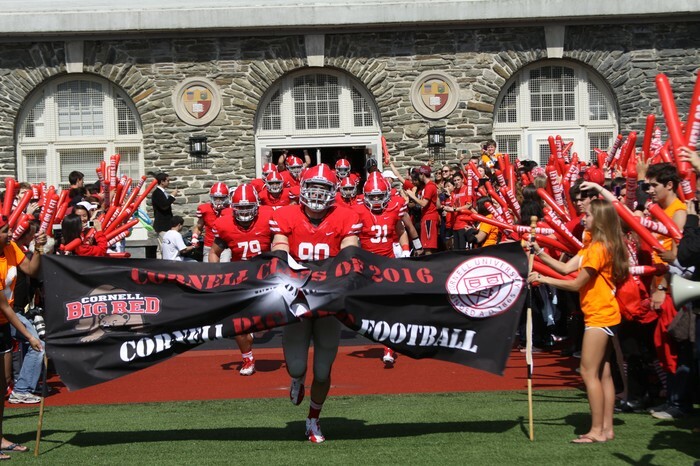 For over 100 years, Freshman have gathered on the field to welcome the Cornell Football team to their first game of the season. JOIN US for this event!!! Meet in the Lynah Parking Lot at 2:10 to make our way to the field. All class members are expected to attend rain or shine!!! Make this event one to remember and kick off the year with style!!!! 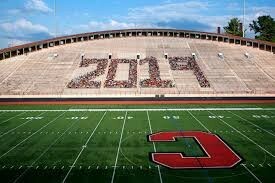 Meet in the parking lot of Lynah Rink at 2:15 SHARP, then we will walk together to Schoellkopf Field! Don't forget to get there early to pick up your free Homecoming T-shirt - distribution starts at 12:00pm (Noon) Get there early to make sure you get one - Limited supplies!